We create kitchens to be proud of ! Looking for Carpentry services in Bedford? Welcome to D Gibbs Carpentry and Maintenance. We provide quality carpentry solutions in Bedford, Luton and Milton Keynes. Our carpenters have over 10 years experience in all types of carpentry services. We have an eye for detail creating the perfect finish every time. Our carpenters cover many skills and services as detailed within our menu at the top of the page. Our aim is to provide a carpenter that is both skilled but also to save you money on improving your home. Read more about our Carpentry Services. Are you looking to replace the kitchen in your home? Did you receive a quote to fit the kitchen from the retailer? If so, we can help. D Gibbs Carpentry and Maintenance provide a high class kitchen fitting service. Whatever the type, size or brand of kitchen we create a kitchen to be proud of. We have worked with all major kitchen brands and know their products inside out. We are can often fit your kitchen quicker and cheaper than the retailer themselves. Looking for a new kitchen? 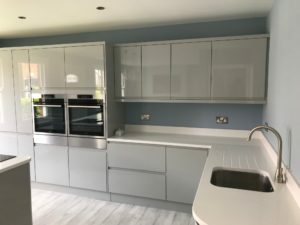 Find out how we can supply and fit quality kitchens. We can supply all major brands of flooring to improve any room within your house. Converting your garage may not be as expensive or complicated as you may think, find out more. 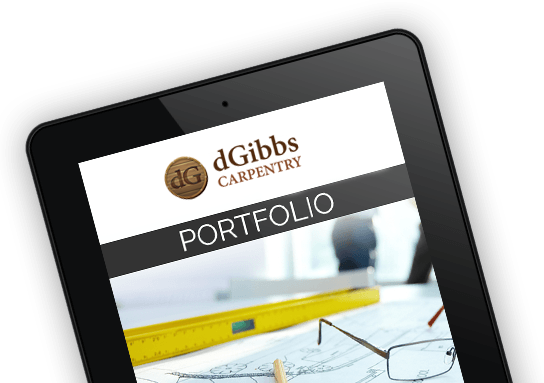 Why Choose D Gibbs Carpentry? Why choose us to fit your kitchen or your general carpentry tasks?